There is a perfect head and shoulders top formation for gold that was successfully tested from below this month. For a definition, see "Head-and-Shoulders Top." Remember, this pattern is in effect until there is a close above the neckline. After I calculate the minimum target price, I'll send an update to my newsletter subscribers with a new chart and the minimum target. 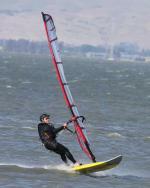 Get December Issue for Free! 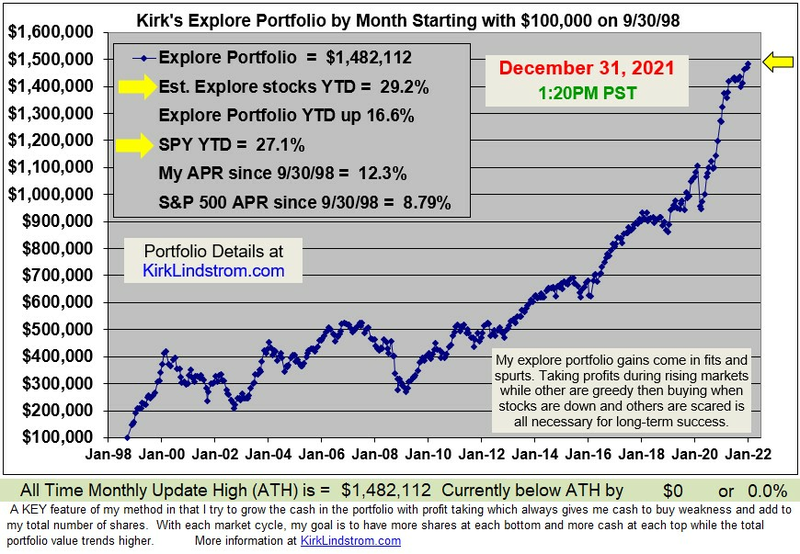 This chart shows my newsletter "Explore Portfolio" from 1998 as it makes yet another record, all-time high! NEW YORK, Dec. 16, 2013 /PRNewswire/ -- "Our 'Sentiment Indicator' continues to be bearish, so we could see a 4-7% correction in the market," says investment manager Elaine Garzarelli, President of Garzarelli Capital, Inc. "But we are still in a bull market." "We can't really predict when we're going to get these 4-7% corrections, but it is more likely with the sentiment indicator the way it is now. There's too much bullishness out there, and that's a contrary indicator: the more bullish the advisors are, the more bearish it is for the stock market, because it means everybody is in there already," she continues. Dr. Garzarelli's advice on how to ride out a possible correction: "Just live through it, and buy on the dip – to buy an opportunity." 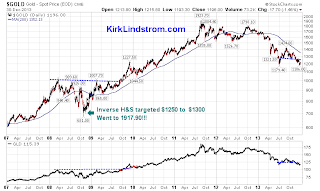 "Add to your positions in cyclical sectors of the economy – which would be technology, industrials, financials, and consumer durables," she advises. The budget deal, which will help growth next year, has caused concern that it may mean QE tapering could come sooner. The bipartisan deal is to set spending levels for the government for two years. It will partly replace the unpopular spending cuts with other savings and eliminate the threat of another government shutdown. The current stopgap funding measure will run out again January 15th. The concern over the start date of QE tapering has been moving markets. Positively, inflation expectations are low and that is the major argument against a December tapering. The risk for inflation is more to the downside. The PPI declined -0.1 percent in November, with a modest 0.7 percent year-over-year gain. We do not worry about the tapering as long as consumer and business confidence holds up. Additionally, the proposed budget deal reduces some uncertainty for markets, which is another positive for markets. Stan Fischer, the former governor of the Bank of Israel is speculated to possibly succeed Janet Yellen as vice-chair of the Fed when she takes over from Bernanke at the end of next month. Fischer has a track record of being aggressive with monetary policy to offset major shocks. Our proprietary stock market indicator composite declined to 70.5 percent from 80.0 percent due to the downgrade of the economic cycle research institute (ECRI) weekly index and the Bloomberg Financial Conditions index. A level below 30.0 percent for our composite is bearish. Our contrarian indicator continues to rise with the number of bullish investment advisors up again and now standing at 58.2 percent, another new high for this year. The continued rise in this indicator signals a correction of 4.0 to 7.0 percent is possible, which we believe would be a good buying opportunity since our overall composite is bullish. Our monetary indicators, which are worth 24.0 percent of our composite, remain bullish. They include the three month bill rate, interest rate momentum, the yield curve, and money supply. The Fed's easing policies continue to keep these indicators bullish. We do not expect the tapering to significantly alter them. Corporate cash rose about +12.0 percent in the third quarter. This could lead to better employment and capital expenditures. Our operating earnings forecast for the S&P 500 is 111.00 for next year. 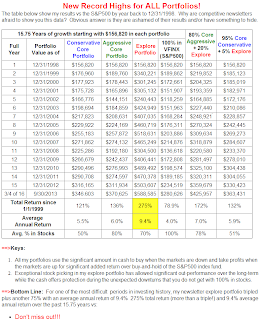 Plugging that into our P/E model suggests fair value for the S&P 500 of 1942 (a 9.0 percent gain from current levels). The consensus earnings estimate is 122.40, 10.3 percent higher than our conservative levels. The Bloomberg U.S. financial conditions index has turned decisively downward. We downgrade this indicator to bearish, removing six points from our composite. This indicator signals the health of the financial industry as higher levels indicate loose financial conditions. The ECRI weekly index is downgraded to neutral, removing three and half points from our composite. The level declined this week but its growth rate is up 2.8 percent. Our junk bond yield to 10-year T-bond yield indicator has an inverse relationship with the S&P 500. 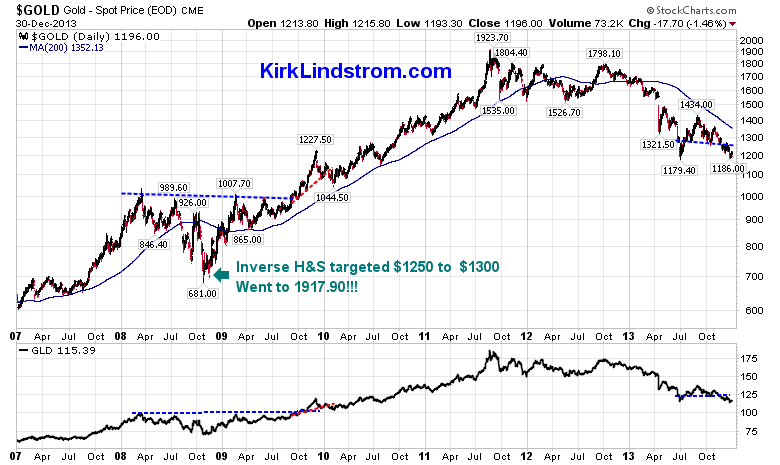 It continues on a downtrend, therefore we rank it bullish…. Elaine Garzarelli, President of Garzarelli Capital, Inc., is an economist with a doctorate from Drexel University in economics and statistics. She worked for major institutional brokerage firms for over 15 years while perfecting her market and industry econometric timing models, and was ranked #1 for 11 consecutive years on Institutional Investor's"All-Star" team for Quantitative Analysis and was recently inducted into the Hall of Fame. She started her own companies in 1994, and currently runs the "Sector Analysis" fund. The Ralph and Elaine Garzarelli scholarship is available at Drexel University for women majoring in economics. Garzarelli Capital does not warrant or guarantee the accuracy or completeness of this report nor does Garzarelli Capital assume any liability for loss of any nature that may result from reliance by any person or institution upon any such information or opinions contained herein. Such information and opinions are subject to change without notice and are for general information only. For further information, to hear Dr. Garzarelli's recommendations, receive this week's entire Garzarelli Capital Weekly Investment Letter, or to speak with Dr. Garzarelli, please contact Temin and Company at 212-588-8788 or news@temin.co. Results Show Improved Survival Against Aggressive Brain Cancer; More Than 90% of Patients Alive After Six Months. Agenus Inc. (AGEN), a biotechnology company developing novel immune system activating treatments for cancers and infectious diseases, today announced results published from a Phase 2 study demonstrated that more than 90% of the patients treated with Prophage Series G-200 were alive at six months after surgery and 30% were alive at twelve months. Additionally, the median overall survival was approximately eleven months. This compares favorably to the expected median survival for recurrent Glioblastoma multiforme (GBM) patients of three to nine months1-7. The primary objective of this multi-center, single arm Phase 2 trial was to assess the survival rate at six months. 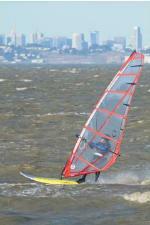 The data was published in a manuscript in Neuro-Oncology, the official journal of the Society of Neuro-Oncology. GBM is the most common and most aggressive form of primary brain cancer. Despite approved therapy patients with GBM face a poor prognosis. Prophage Series vaccines are currently being studied in both newly diagnosed and recurrent GBM. 7:01 am Agenus: Positive Phase 2 Results from Agenus' Brain Cancer Vaccine Published in Neuro-Oncology; Results Show Improved Survival Against Aggressive Brain Cancer; More Than 90% of Patients Alive After Six Months (AGEN) : Co announces results published from a Phase 2 study demonstrated that more than 90% of the patients treated with Prophage Series G-200 were alive at six months after surgery and 30% were alive at twelve months. Additionally, the median overall survival was approximately eleven months. This compares favorably to the expected median survival for recurrent Glioblastoma multiforme patients of three to nine months 1-7. The primary objective of this multi-center, single arm Phase 2 trial was to assess the survival rate at six months. 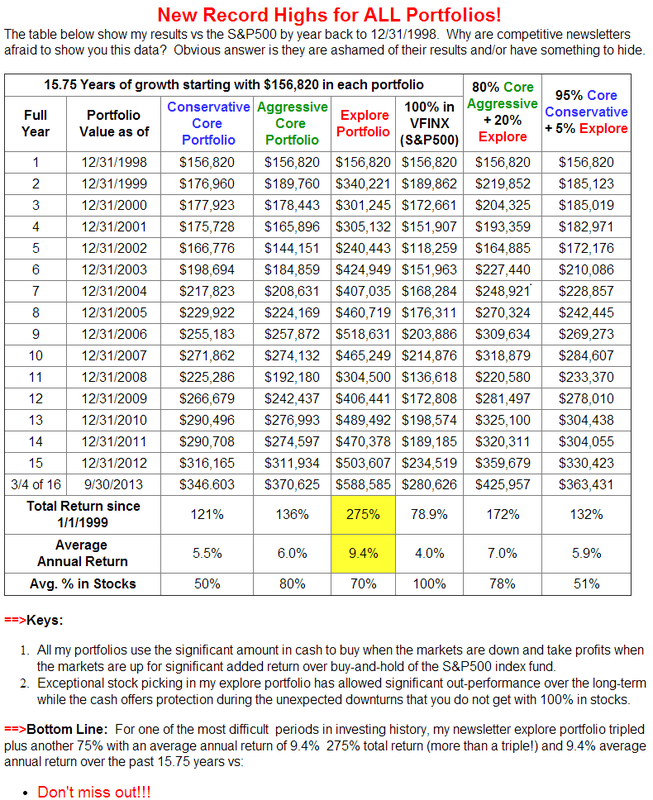 Here is a copy of an October 31, 2013 special email alert where I added significant shares of AGEN to the Explore Portfolio in my newsletter. Will Google Build Server Chips & Threaten Intel's Profitable Business? Today for smart, young adults just out of school Google (GOOG) is a great place to work much like HP (HPQ) was 35 years ago when I was hired. 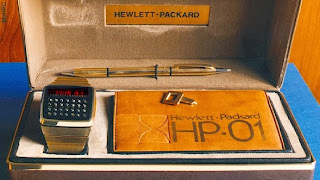 Back then, I went to HP to design semiconductors for the Optoelectronic group (OED). HP used its own chips in many of its own products. 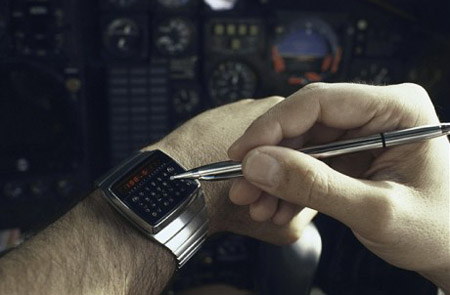 The group I went to invented the LED for their first calculators released when I was in high school and the 1977 HP01 watch, released when I was at UC Berkeley studying electrical engineering and computer science. 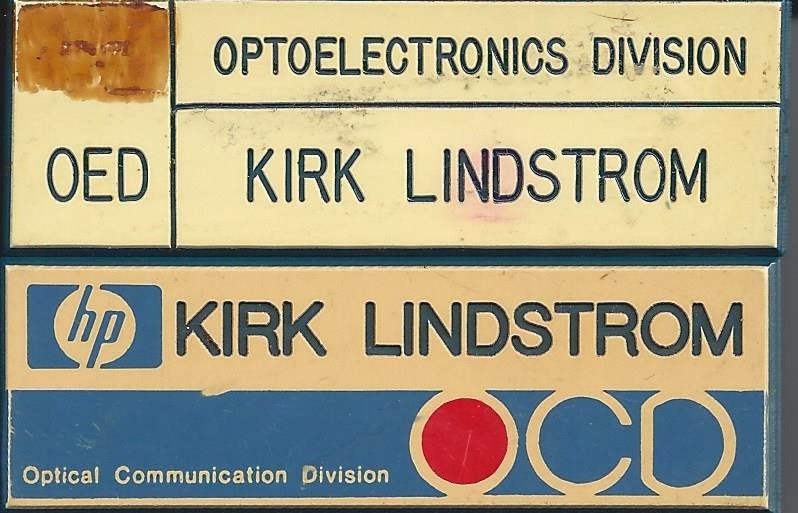 These advance products were part of what inspired me to study semiconductor engineering. 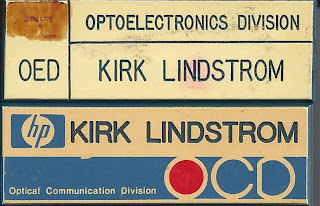 OED grew and spun off OCD (Optical Communication Division) where I designed fiber optic transceivers and later infrared (IrDA) transceivers when Bluetooth and WiFi were still too expensive so the industry used light to communicate wirelessly between devices. My patent " Infrared receiver with variable input resistance for optical communication systems"
Later chips went into HP computers and later PCs. Eventually, it was not cost effective so we sold the unit (mostly R&D) to Intel. One of my friends and neighbors still works at Intel designing advanced processes. I speculated that this was "cyclical" and eventually some companies would want more control of the chips and not rely on Intel or TSMC and bring both design and manufacturing back in house. Intel threatened as Google mulls creating own server chips. Google ( GOOG) is reportedly thinking about designing its own server processors using technology from ARM Holdings ( ARMH). The idea is that with its own chips, Google could better manage the interaction between hardware and software. The move could hurt Intel ( INTC), which earns over 4% of its revenue from the search giant, and which has a 95% share of the market for server chips that use PC processors. It is interesting that Google is now so big that they are contemplating doing their own chips. Will they also build their own fabs or have UMC, TSMC, Samsung or even Intel build the chips for them? The AAII Investor Sentiment Survey measures the percentage of individual investors who are bullish, bearish, and neutral on the stock market for the next six months. AAII is the "American Association of Individual Investors." For the survey, Individual members of the AAII are polled on a weekly basis. Only one vote per member is accepted in each weekly voting period. The AAII reports the weekly results at http://www.aaii.com/sentimentsurvey/. 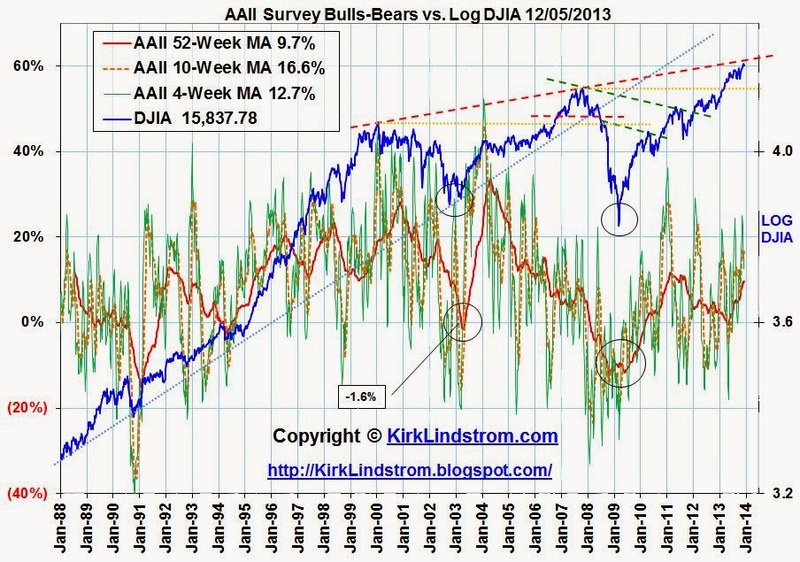 This chart shows the 52-week moving average of the AAII bull/bear index (American Association of Individual Investors). 52 weeks removes seasonality from the number and gives startling results. 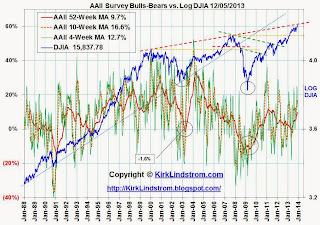 Charts of the AAII (American Association of Individual Investors) Bulls minus Bears Index versus the market are key sentiment indicators for stock market technical analysis. Contrarian theory states the time to buy is when fear and pessimism are at a maximum since this usually occurs near market bottoms. Follow Sentiment on Facebook at Investing for the Long Term. 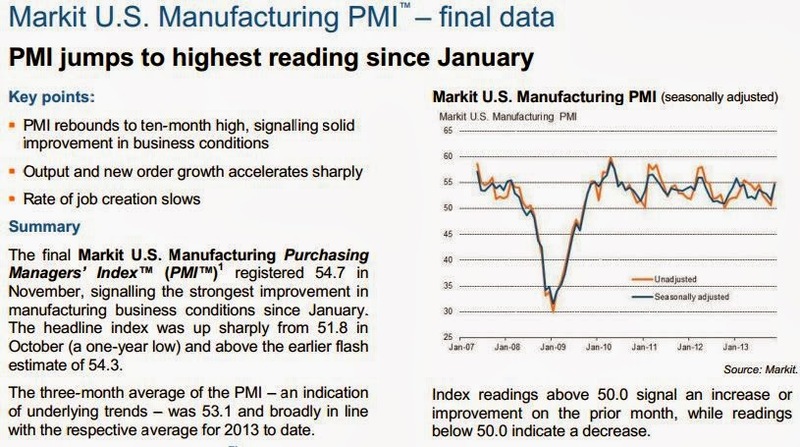 Today the Wall Street Journal released their monthly reading of the DJ Economic Sentiment Index. 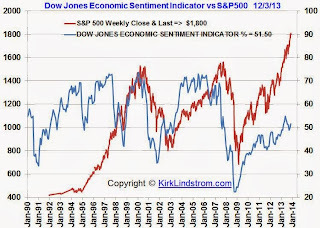 Below is my graph showing a plot of the Dow Jones Economic Sentiment Indicator versus the S&P500. The U.S. economy in November showed few negative signs from the government shutdown that occurred in October, according to a survey of newspaper stories on U.S. economic activity released Monday. “The ESI has been picking up since its modest late-summer pullback, suggesting steady positive momentum in the U.S. economy into the yearend, boding well for the November payrolls report,” says Alen Mattich, “Money Talks” columnist at Dow Jones Newswires. “But the positive news doesn’t suggest the sort of economic strength that would make the Federal Reserve hurry to trim its asset purchase program,” Mr. Mattich said. 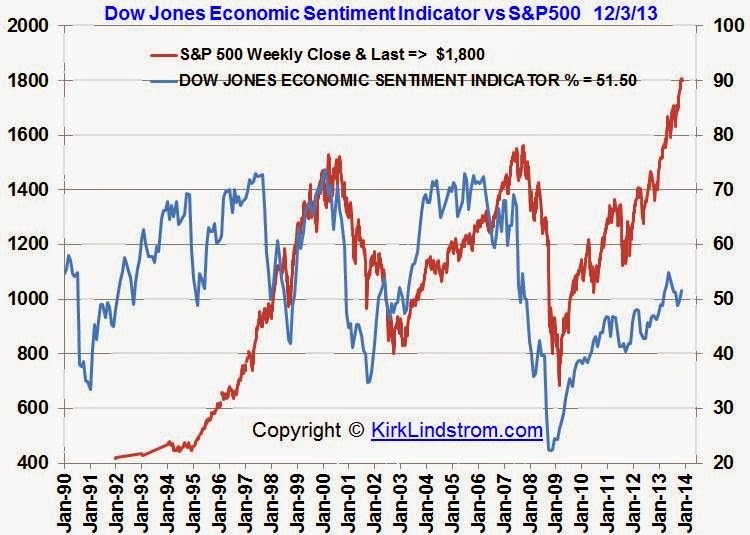 The economic sentiment indicator is designed to project the health of the U.S. economy by analyzing coverage of 15 major American newspapers, using a proprietary algorithm to look for positive and negative sentiment about the economy in every article. The ESI is reported on a scale of 0 to 100; higher numbers represent increasingly positive sentiment. Dow Jones selected the 15 newspapers used to compile the indicator because they include extensive original reporting on economic issues. They are also geographically diverse and represent eight of the 10 largest metropolitan areas in the U.S.
“The U.S. manufacturing sector has shown surprising resilience in the face of the government shutdown. The average PMI reading so far in the fourth quarter is unchanged on the average seen in the third quarter and the survey is consistent with production growing at an annualised rate of approximately 2.5%. “Large companies are leading the upturn, having escaped the impact of the shutdown, with output and new orders growth rending higher in recent months. SMEs suffered a bigger shutdown impact, but saw growth rebound again in November. Similarly, while employment rose in SMEs, it is larger firms that are driving job creation. 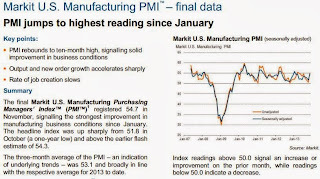 The Purchasing Managers’ Index™ (PMI™) is a composite index based on five of the individual indexes with the following weights: New Orders – 0.3, Output – 0.25, Employment – 0.2, Suppliers’ Delivery Times – 0.15, Stocks of Items Purchased – 0.1, with the Delivery Times Index inverted so that it moves in a comparable direction.